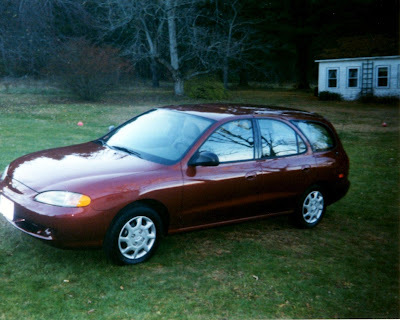 I've been a faithful friend for 13 years, but I think tomorrow I may be heading to "car heaven." Which my "parents" are a little sad about. One reason is I was the first "brand new" car either one of them ever owned. But I am old and although I could maybe 'live' another couple of years, it would require more money to fix me then maybe I'm worth. So I guess this is farewell! This is a Sponsored post written by me on behalf of Ashworth College for SocialSpark. All opinions are 100% mine. Wow! I can't believe I have been blogging since 2008! That is three years now. I really like blogging - it can be a lot of fun. I remember the early days when it was all new to me. I really had so many things to learn about blogging. After about a year of blogging, I also decided to use my blog to make a little extra money. Some may not agree with this, but I have found a balance to doing this. I try to mix not only personal posts, but try to share some information I have found out through my sponsored posts. I think it is working so far. Do you? Also, making some money has helped out around at home. I remember a couple of Christmases ago, I was actually able to pay for all the presents with the money I had made from my blog! That was a big help! I didn't have to charge a thing! I also remember how hard it was in the beginning to find out any information out about blogging. I basically taught myself. It would have been really helpful to take a course on it. I didn't know such a thing existed at the time. Well know I found out that Ashworth College has such a thing! In just 6 months you could earn an accredited Professional Blogging Diploma. One thing you'll learn is turnkey instruction. You will also be provided with support and services to create, publish, manage and promote any type of blog! You can learn how to vlog, podcast or webcast at Ashworth College. All from knowledgeable instructors with years of experience in their fields. All these techniques could have really benefited me when I first started blogging. Hey maybe they still could! I still have much to learn! Do you? Check it out for yourself! I recently received a cool product to try out and giveaway! Read on to find out more. I'm not a big lipstick wearer, but I do like to wear lip gloss. So I found the Monave Lip Glaze really nice! It adds some shine without some outrageous color. If you know what I mean. And it really goes on smooth. This is also great for my daughter who I don't want to wear lipstick yet, but she sometimes likes lip gloss too. I also like the fact that it is so organic & Vegan! Win it! - One lucky reader will win their own Monave Lip Glaze. Mandatory Entry: Please visit the Monave website, and tell me another product you would like to try. RULES: Giveaway is open to US Residents only. Giveaway ends April 6, 2011 11:59 PM EST. Winner will be chosen via Random.org. Must have valid email in blog profile or leave email in comments otherwise you will be disqualified. Winner will have 48 hrs. to confirm by email, If no confirmation in that time frame a new winner will be chosen. Nothing is scarier then hearing your kid scream at the top of their lungs, in pain. Well that is what happened last Saturday. I was in the shower and my daughter went outside to play. Next thing you know she is screaming like crazy. She was climbing a tree in our yard, and fell out. I really thought she had broken her arm! Luckily she is ok and didn't do that. But this kid sure knows how to scare me! A few weeks before she fell at school and split her lip open! I think I want to wrap her in bubble wrap! You may recall me in the past talking about my teenage son. And that he has a slight acne problem. Anyone remember that? Well anyway, I am forever trying out different products. And I am kind of a fanatic about getting him to take care of it. And one way I keep telling him is to wash his face. That is why I was really excited when I was asked to try out one of the Walgreens Brand Health & Wellness Products I received to sample - the Walgreens Brand Oil-Free Acne Wash! My son has been using it for about a week. And I really can see an improvement on his face. Some things I like about the Walgreens Brand Health & Wellness Products is the pricing. Like I said, I have tried other brands and they are a lot more expensive. I really need to save money and this will really help me out. What about you? 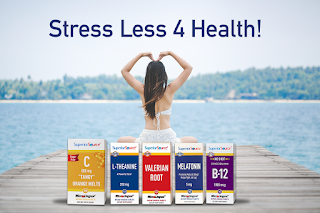 Have you tried any of the Walgreens Brand Health & Wellness Products? I'd love to hear your experiences with them! Another great thing, I found out about is the Walgreens Way to Well Fund™. Walgreens will provide up to $3 million annually to the fund. The Walgreens Way to Well Fund™ will provide free preventative health tests. As well as other health and wellness services and education to local communities. Please check out the website for more information on all of this! St. Patrick’s Day is right around the corner, and it’s not the luck of the Irish that will keep the roads safe – it’s planning ahead for a safe and sober way home. • Plan ahead and designate a sober driver before you leave for your event. • Be ready to take alternate transportation such as a bus or taxi. Have the phone number of a taxi service stored in your phone before you leave for the party. 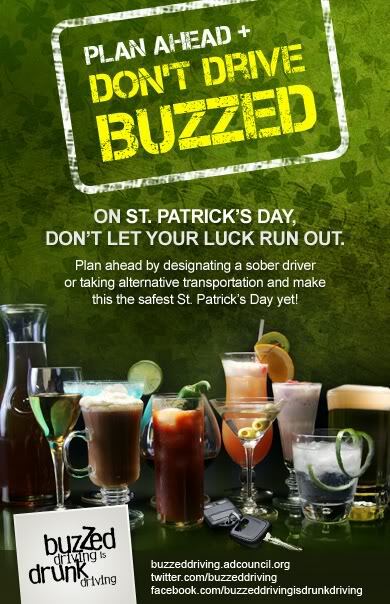 NHTSA needs your help in keeping the roads safe for everyone this St. Patrick’s Day by spreading the word that buzzed driving IS drunk driving. To learn more about the impact buzzed driving can have on a life, please consider followowing Buzzed Driving on Facebook and Twitter for more information. Remember: Buzzed Driving IS Drunk Driving. Don't rely on dumb luck this St. Patrick's Day. Plan ahead and ask your loved ones to do the same. Disclaimer: I received this information from Global Influence, NHTSA, the Ad Council and Buzzed Driving is Drunk Driving. I was not compensated in anyway for posting this but wanted to share this important information with you. I don't know about you but I am so ready for Spring to arrive! I just found out that Spring is coming to Pier 1 . Sign up now for the Pier 1 Outdoor newsletter and you will get on the guest list for the Spring Party they are having. If you sign up for the newsletter you will learn the details of their special in-store offer. It is for the weekend of March 18-20. One awesome thing that has arrived now at Pier 1, for Spring is Outdoor Furniture! There are a lot of must haves from Pier 1 for outdoor entertaining this season. 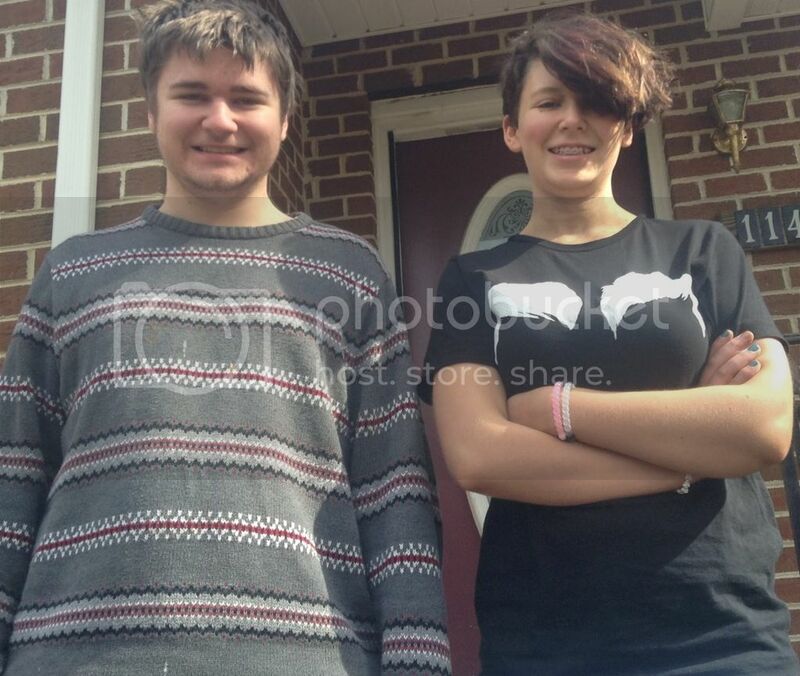 As I have mentioned in a previous post, my family and I are moving to Virginia in about 5 months. Looking around at all my furniture, I realize I might just have to dump some of it and get some new stuff. I would love some of Pier 1's outdoor furniture. And the great thing about it is that some of the outdoor stuff can be used for inside. Like for example I need some new seating and this Coco Cove Outdoor Swivel Chair - would be great for either outdoor or even indoor! There are really some great bargains right now at Pier 1. Go to the website & check it out! Also is the iconic Pier 1 Papasan. I've always wanted one of these too! Also please check out upcoming Pier 1 Tweetups! My Take on The product! When I was asked to review a YourNameUniversity.com t-shirt, I was really excited. I love personalized t-shirts so I couldn't wait to get one. And this t-shirt is so cool - it has my last name on it - which is "Cook" and it says - Cook University! I ordered the t-shirt in Ladies Large. And it fits me great. Of course everyone else around here wanted it. But for once I decided to keep it for myself! And I told them it's a "Ladies" t-shirt! I feel a little guilty, but maybe we can order some more sometime for them! Receive 10% off on your purchase! At checkout use code "Blog0311" Tell your friends & family about the code! Hurry discount expires 3/31/11! Do you recall my many articles in the past about www.Cryo-Cell.com? Well if you don't then I will try and give you a very brief reminder about what they do at www.Cryo-Cell.net. Cryo-Cell is a cord blood bank. Since 1992 they have helped thousands of people world-wide preserve their newborns umbilical cord blood. In my opinion I think this is a wonderful idea. I am so for this kind of thing. I wish I was aware of this when my children were born. I am no expert by any means on this subject. But I have read that umbilical cord blood has the potential to use against many diseases. And that Cryo-Cell helps to store cord blood in a noncontroversial way. If you want to learn more about any of this you should really visit their website for yourself. And now there is even more of an incentive to look into this. And that is because you will receive a free BellyBag! Go now to the website to check out this really cute bag. It can be yours just by requesting the information packet & you can consult with an Advisor! Do it now! Entries are being accepted online between now and April 18, 2011, at http://www.bakeoff.com/. One hundred lucky finalists will compete for a chance at the grand prize during the contest finals, which take place March 25-27, 2012 at the Peabody Orlando Hotel in Florida. You’ll also find contest details, including eligible products, prizes and the official rules, on the web site. I received an apron, pen & a really nice cookbook. I can't wait to try some of the recipes in there! Some of them look delicious! And from my skimming it they look like a lot of fairly easy ones in there too! Especially some of the dessert recipes - the pictures alone are making me drool! 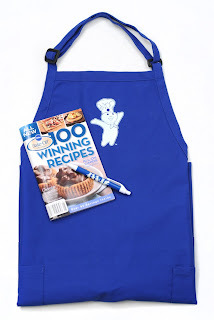 Mandatory Entry: Go to the Pillsbury bake off site and tell me your favorite recipe. RULES: Giveaway is open to US Residents only. Giveaway ends March 18, 2011 11:59 PM EST. Winner will be chosen via Random.org. Must have valid email in blog profile or leave email in comments otherwise you will be disqualified. Winner will have 48 hrs. to confirm by email, If no confirmation in that time frame a new winner will be chosen. 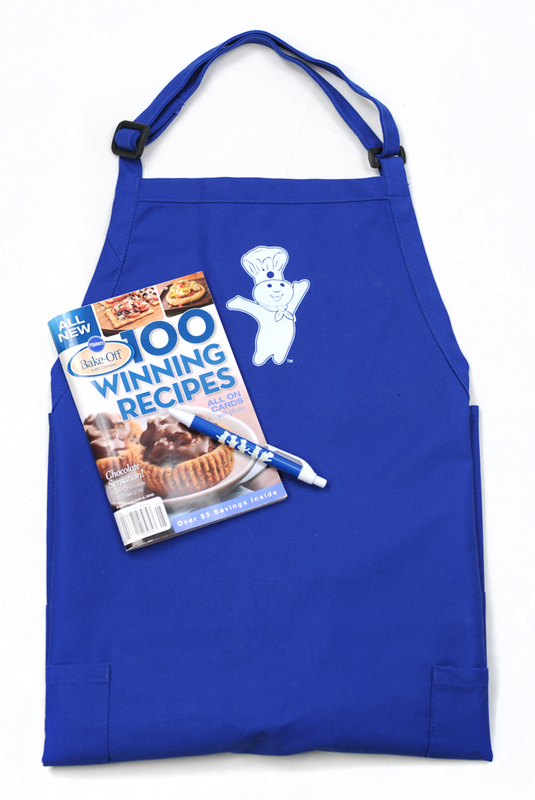 Disclaimer: prize packs and information were all provided to me from Pillsbury through MyBlogSpark.